Home » All the Family Friendly Indie Games Announced During the Nintendo Nindie Spotlight! All the Family Friendly Indie Games Announced During the Nintendo Nindie Spotlight! Nintendo posted a brief video today as part of the Game Developer’s Conference. It was a pretty big deal because they announced sixteen new independent games. They all looked awesome, but only a handful of them were appropriate for our audience. The following is a list of the family friendly games that they announced. Fantasy Strike is a fighting game, available on Steam, that simplifies traditional fighting game controls so players can focus on strategy. It will be available on the Nintendo Switch this summer. Just Shapes & Beats is launching first on Switch this Summer. I think a lot of us will be enjoying the rhythm, platformer, bullet-hell shooter when it comes out. Adult Swim games is publishing this super quirky action game as a Switch exclusive this Summer. Just watch the trailer… its a puzzle platformer where you control a chicken that lays bombs like eggs. Its launching first on Switch this summer. 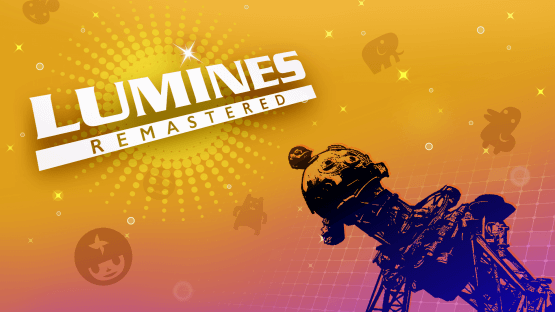 Limines! This is a puzzle game that I never would have imagined would come to the Switch in a million years. The original games in the series were all associated with PlayStation. This is a welcome treat that will look wonderful on the Switch tablet. Light Fall is a challenging platformer where you control a hero who has the power to build his own platforms and walls to run on and bounce off of. Its launching first on the Switch this Spring. This might have been the most exciting announcements to come out of the Nindie showcase for me. The Messenger is an action platformer that is strongly reminiscent of Ninja Gaiden. The action looks fast, and I even got some Shovel Knight vibes from it. The Messenger is launching on Switch this summer. Sega Announces Sonic Mania Plus and Teases a New Sonic Racing Game!